This course is an HSE, FAW + F forestry first aid at work course. It tailors the standard first aid content for forestry workers and covers the additional topics required by the Forestry Commission i.e. severe bleeding, crush injuries, hypothermia and Lymes disease. 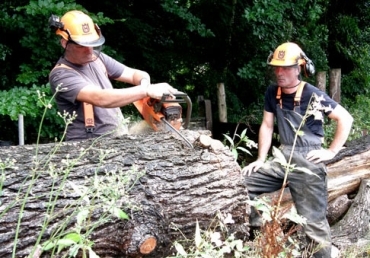 The Forestry Commission recommend those who work in the Forestry industry attend FAW + F training which includes additional topics relevant to the risks and nature or their work. These topics are to covered in addition to core first aid skills taken from the the standard first aid at work training syllabus. The First Aid at Work courses should be delivered over 18 hours, not including breaks, normally run over three days. Just wanted to say thanks v much for the course, you were a great trainer, laid back but thorough and made it an enjoyable few days! Thanks again.